Building a great regional event from the ground up. 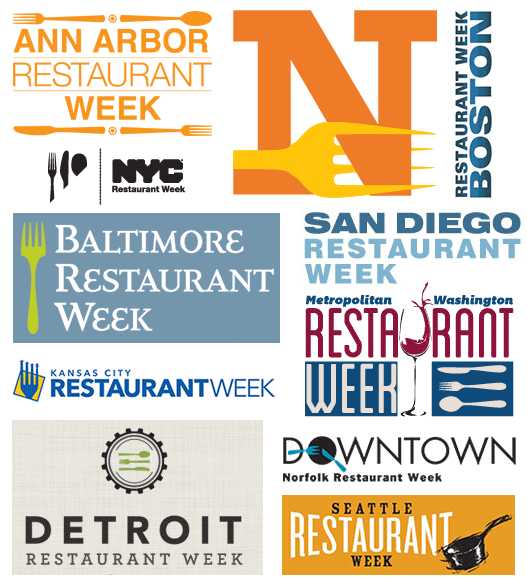 Our initial efforts focused on reviewing over 50 restaurant week event websites around the country in order to understand not only what was successful about them, but where they could be improved upon. We also reviewed a wide variety of non-food event sites with strong online presences. These findings informed our design process throughout the project, whether in the section of colors, how to organize restaurants, the restaurant information to display, or decisions on how and when to execute marketing of the event. 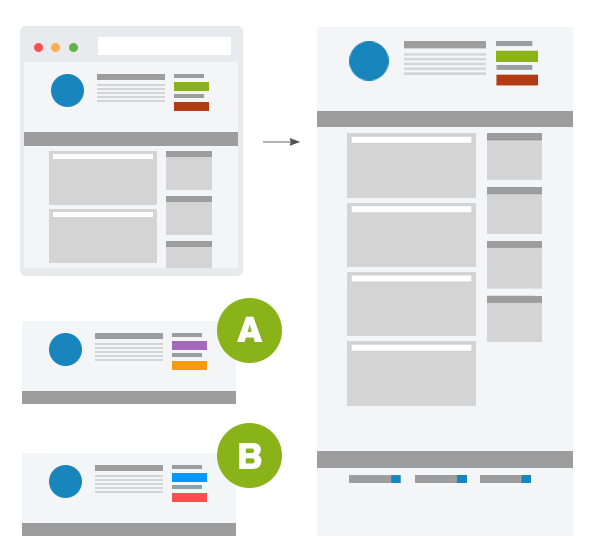 Planning a site often starts with wireframes and other documents that provide a general sense of the needed functionality, placement of information, etc. 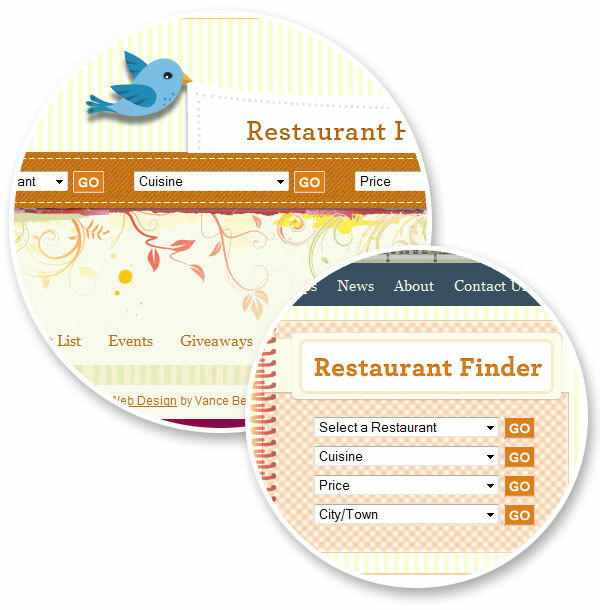 Designing the new Main Line Restaurant Week website was no exception here. Information architecture and wireframing helped ensure the needs of the visitor and restaurant patron were being served by the site. 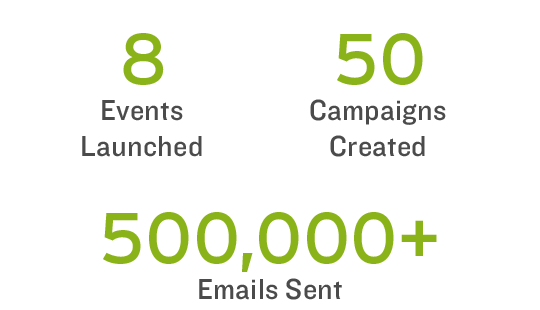 For creatives this is always the fun bit, however, it’s also what provides the first impression to your visitors. 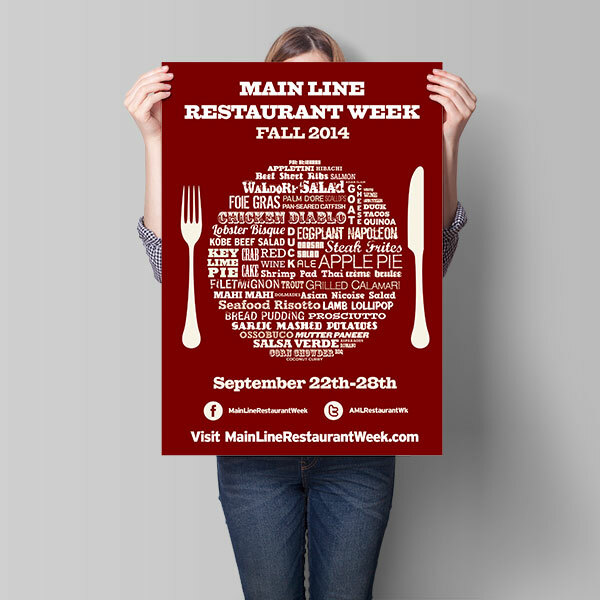 Main Line Restaurant Week’s orginizers at AroundMainLine.com, wanted a design that was inviting, cheerful and enticing to the general public and foodies alike. Even before the final design was completed, a pared down temporary version of the site was launched to support initial marketing efforts and create awareness. After the final design was completed, the site development and quality control concluded, the new site launched. 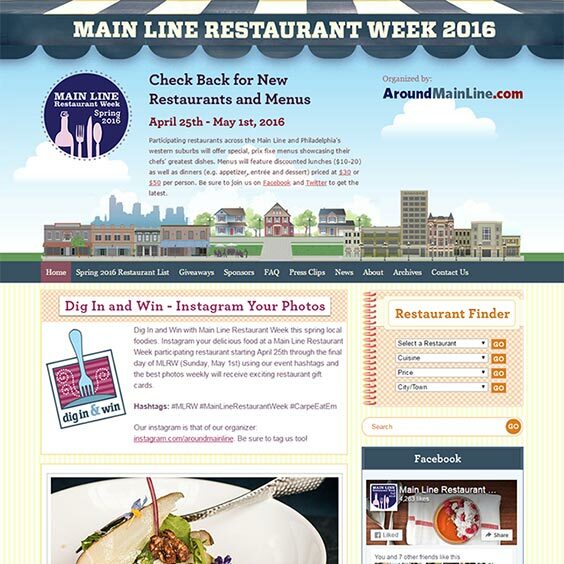 Main Line Restaurant Week as been supported by a wide variety of online marketing efforts including email, social, search engine optimization, display advertising, online advertising and more! These efforts include not only marketing the event itself to the public, but participation in the event to area restaurants, potential sponsors and partners. In every case data is received on the effectiveness of the marketing efforts and further thought put into their refinement with an eye to cost-effectiveness and increasing its overall reach. One of our favorites modes of outreach is still email marketing—proven time again to be highly effective. We’ve created over 50 email campaigns for the event ranging from restaurant participation emails to kickoff party invitations. Each event requires creation of a suite of 8-10 online banner ads for use with various media outlets. A few of these are shown below and at right. 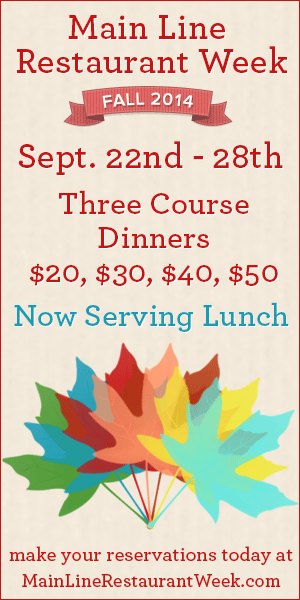 We’ve been fortunate to work with Main Line Restaurant Week since its inception. During past events participating restaurants have served over 200,000 meals to excited area foodies and patrons, generating over $6 million in revenue. 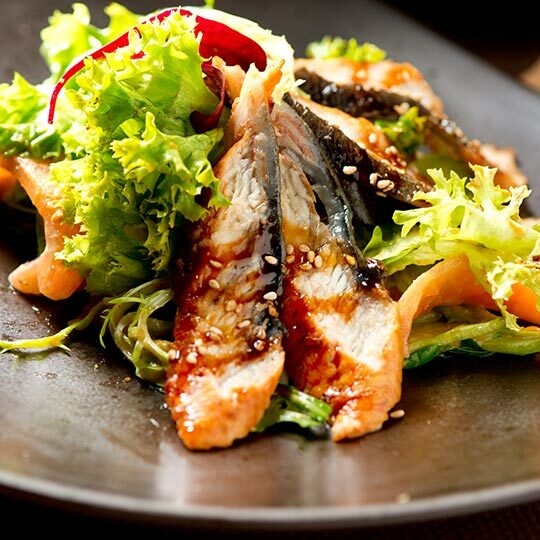 We are looking forward to many more events and great dishes yet to be conceived.